Tom Bimrose started his working life as an apprentice motor mechanic over 50 years ago. In those days new parts were difficult to procure and expensive. Whenever possible they were repaired, rather than thrown away. As a fresh young mechanic, Tom moved to Barcaldine to take a position with the Main Roads Department as “Serviceman Western Division”. This was an area west from Emerald to the NT border, south to Augathella and north to Hughenden. Tom operated and worked on many machines. When original parts could not be obtained often parts from other machines were modified and substituted. Sometimes this made the unit even more serviceable. Tom often pondered the failures he saw in the field and developed the following philosophy. It is Tom’s belief that more effort should have been spent on finding reasons for premature machinery failure rather than reinforcing in customers the idea that this was “normal”. Some of the solutions Tom saw employed by the “bush mechanics”, solved design flaws that should have been engineered into the machine from the start. After nearly 10 years, Tom returned to the coast to work for the RACQ. Later he was involved in several motor dealerships. Once again he observed that most wear and failures appeared to be the result of poor lubrication. This effect was seen to a greater degree when the vehicle was poorly serviced and oils not changed regularly. Tom then worked in a large open cut mine where he saw the same problems on a larger scale. Tom finally decided to find what is the difference between oils. Can oil be designed to reduce the problems he had observed? Could they be improved or eliminated if you could make better oil? After over ten years of research and development, and many vehicles and machines using Tom’s oils, sometimes from new, he has now proved it is possible and wonders where the world would be if this had been done years ago. Millions of people working to repair worn out machinery over the last 50 plus years may have been contributing in other ways to advance civilization. From very modest beginnings in 1988 Bimrose Lubricants has grown to be the company to deal with if you want a lubricant that will actually work. Bimrose Lubricants can advise you how to reduce many of your operating costs. 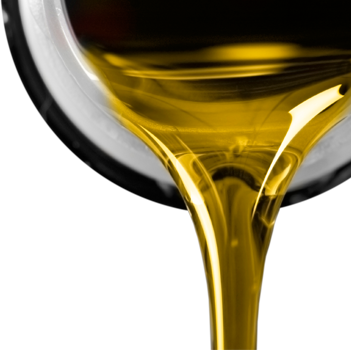 You will use much less oil by extending your oil change periods. You will benefit from reduced wear and tear, greatly reduced repair bills and increased vehicle availability. Bimrose Lubricants is 100% Australian. The design, development, testing and blending of all our products is done here in Australia by Australian companies. Every product bearing the “BIMROSE LUBRICANTS” label will meet your lubrication needs. With over 30 Distributors throughout Queensland, New South Wales, Victoria & Northern Territory and other states in the near future, service is never further than a phone call away. In today’s environmentaly conscious world, doesn’t it make good sense to minimise our use of oil wherever possible? Tom has estimated that the world could reduce oil consumption to 1/3 of the present levels if everyone used Bimrose Lubricants. This would mean our oil reserves would last longer and the environment would benefit greatly due to the huge reduction in emissions and we would not need a carbon tax.